Many recruitment companies claim to offer exceptional service. 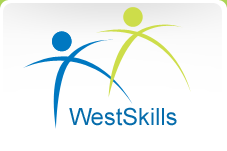 WestSkills deliver it! WestSkills rapidly matches people to positions. Our credo is 'Great Jobs, Great People', something that is true of both our team and the employers we work with. Please "View Vacancies" for positions currently awaiting the right person, and don't forget that uploading your details to our "Jobseeker Register" will mean your first inline when new positions come online. Note that some positions are never advertised due to the right people already know to us, so spend a moment to lodge your specialty skills with us. On behalf of all the WestSkills team, welcome to the future of recruitment and labour hire. All you need to ask yourself now is "Are you WestSkilled?"